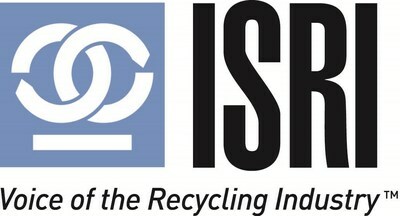 LOS ANGELES, April 10, 2019 /PRNewswire/ -- In recognition of its innovative use of recycled plastic, and its product design centered on recycling, the Institute of Scrap Recycling Industries (ISRI) names Nestlé Waters North America as its 2019 Design for Recycling® (DFR) Award winner. The DFR Award is ISRI's most prestigious award given annually to the most innovative contribution to products designed with recycling in mind. 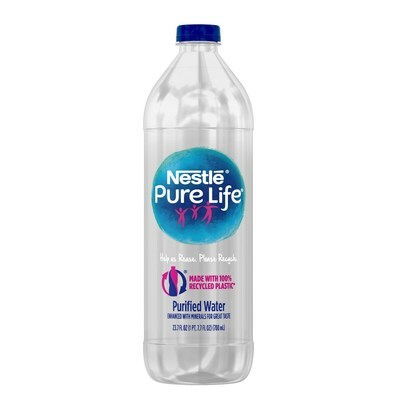 Nestlé Waters has received the award specifically for the design of its Nestlé® Pure Life® 700ml bottle made from 100 percent recycled PET plastic (rPET). "The Design for Recycling Award recognizes proactive steps made by manufacturers that have actively incorporated its principles into products and processes," said Robin Wiener, president of ISRI. "Through innovative thought and design, Nestlé Waters is demonstrating the positive value of recycled plastics. There are obvious invaluable environmental benefits to using recycled plastics as feedstock in the manufacturing process to which Nestlé Waters has shown a commitment. On top of that, the design of the labeling process also takes into account improving the quality of the recycling stream. Through every stage of the manufacturing process, Nestlé Waters has shown a clear dedication to designing for recycling, and it is an honor to present them with this year's award." In addition to the Nestlé® Pure Life® bottle being made entirely from recycled content, its design also takes into account end-of-life processing. For instance, the bottle features a state-of-the-art, pressure-sensitive label. Unlike traditional adhesive labels that may not release from the PET flakes during the recycling process, potentially damaging the recycling stream, these new labels will release easily during the wash stage of the recycling process so the material can be used to make new bottles again and again. "Bottles like this are the future of recycling, and so to be recognized with this award is particularly significant. Made from 100 percent recycled plastic, and 100 recyclable, this Nestlé® Pure Life® bottle is proof that a fully circular economy is within our reach," said Fernando Mercé, president and chief executive officer of Nestlé Waters North America. "We take great care here at Nestlé Waters to design our packaging with recycling in mind, and we're proud to have this bottle, from our namesake brand, inspiring consumers to recycle and join us on this journey to take the 'single' out of 'single-use' plastic bottles." Nestlé Waters North America has been incorporating recycled plastic into its packaging since 2011. In fact, since 2017, all single-serve bottles of the company's Arrowhead® Brand Mountain Spring Water produced in California have been made using 50 percent recycled plastic. Most recently, the company also announced that it is on track to nearly quadruple its use of recycled PET plastic (rPET) in less than 3 years, with an ambition to reach 50 percent recycled plastic across its U.S. domestic portfolio by 2025. Nestlé Waters will receive the award during the 2019 ISRI Convention and Exposition in Los Angeles. ISRI began presenting the award more than 10 years ago. Previous winners include Dell Inc., EcoStrate, Samsung, LG Electronics, Inc., Cascades Fine Papers Group, Hewlett-Packard, The Herman Miller Company, and Wind Simplicity.